The same place MS grows in my body is the same place my courage exists. Where my power originates. Where my strength dwells. MS controls the dark parts of my life. And sometimes those thoughts seep over to my bright side. Penetrating the layers of my happiness and making me noticeably indifferent about everything. When this happens, I give the impression of not caring or trying. The other morning, my husband was helping me get dressed to start my day. Well, saying he was helping me is pretty generous. I was doing nothing and he was doing everything. At the time, I didn’t know what to say. My MS brain has lost its quick thinking abilities. But after some thought I finally told him this. “I promise you. I’m still trying. I’m not giving up. It’s just hard. It’s so very hard. Sometimes my circumstance distracts and overpowers me. I become fixated by what’s happening inside my body. Staying focused on daily task becomes a challenge. Being present is a challenge. Hell, just making it through the day without falling apart is a challenge. Some days I spend all my time trying not to cry. Like when my left hand suddenly stops working. Or when I’m so tired I can barely sit up straight. Then I look at the clock and its only 3pm and I still need to function for the rest of the day. I know it’s hard to understand because I’m really not suffering. Everyone can relate to pain. But I am not suffering. I’m struggling. It gets confusing because I have both noticeable and inconspicuous problems. Empathy comes easy for the visible symptoms because they are relatable. But unless you have MS, the invisible symptoms are hard to comprehend. Which make them hard to relate to. I was recently diagnose with MS. A week ago… I am 29 years old and i am from mexico. I am cant explain why i haven’t cry that much since i found out.. I cried only the first day and then after that I fell full of energy to fight this illness. I was only worry about how the h.. i will pay for this medicines… but my family is very supportive and also my friends. I think I was more worried for my parents how can they help me to walk or something if they are older… I feel like i will never get married and have kids. At least you have a very supportive husband and you have somebody next to u. I was so sad when i thought about basically my life for the next years. I was picturing myself alone with my brother taking care of me and without even a partner. Then a few days ago i just realized i have to live one day at a time. I have to focus on today. I am religious person son God gave hope. I just found out about this a week ago so i dont really have experience as much pain as many of you probably have. But i haven’t even ask god why me? I think we all have a mission in this life and we have to try to do our best. I think compare to many other people without legs or sight or hands, or cancer or many other deceases i think we can have a reasonable quality of life. And we have to life every day as the last one and value the normal stuff other people dont. I really hope you start to feel better. And I want to let you know that we are all a community from around the world. And people united and sharing their problems is what makes us stronger. I know i am just a beginner but if you need somebody to talk to.. a stranger let me know!! Kind Regards from Mexico. I think we’re on similar ms roads right now. My thinking has slowed and it takes a bit longer to hear and respond to others. I am having pain for the first time since 2007. It’s been all numbness and crazy tingling for the years in between. I feel good about the pain. It’s wonderful to feel something again. I understand the struggle. I understand it being 3 o’clock and your body and mind feel like it must be bed time. Sometimes, a lot lately, that’s how I feel when I wake up in the morning. I chose a no drug regimen for living with ms. I was still confined to bed when I started back in 2007. After 7 months I could stand and I learned to walk again. It took years but now I walk with ease. Yes, there are still lots of other issues, like relearning how to use my hands (haha!) but my point is that it’s important to go through the struggling knowing it’s going to lead to something just a little better than what you have right now. I learned how to rebuild nerve roads to do things my body wouldn’t do anymore. Like hold a spatula and turn it to flip the pancake. Had to put down a new road of nerves to be able to continue doing this. Yes it was a struggle. But now the road is well traveled and there are more pancakes in my life. Remember…Now is only temporary. Well said indeed. I’m going through this myself, here on the MS Highway. My personal “big issue” is this very one–not giving up. Certain giving up works…temporarily. I am currently wheelchair bound. I can give up on walking; but only for NOW. Because that’s when it is right now. Now. What will happen later–who can say? But a lot of my own “why try” is related to “it didn’t work last time, things that cause the failure haven’t changed, so why try? Well, that works for the wheelchair, but as for the rest… who can say? Dont give up, don’t loose hope that it never will get better.believe it will! when i was in a situation that sounded like yours that what helped me. -hold on to any (however limited ) independence you have. if someone brush your hair hold the brush, or the toothbrush, fork whatever.even if its slow, frustrating- once a movement is lost it take your body so long to get it back. 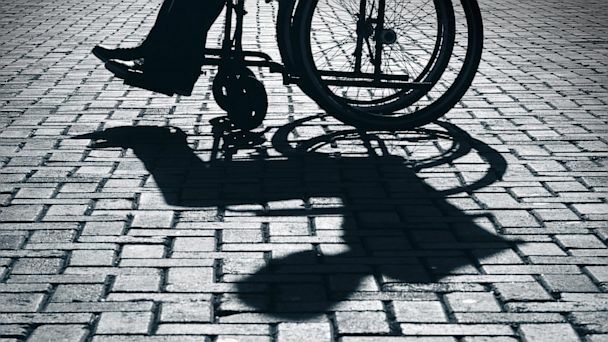 -try to have at least once a day contact with someone outside who sees you different, as someone who has a opinion, thinking, dreams, not only in a wheelchair being dependent. i find it hard leaving the house, but try to phone, email. if you like, email me. I can so relate to this, although I find it hard to express it as well as you do – even if I am a writer. There are moments that I just stop doing anythin and just collapse into my wheelchair or on the toilet, wanting to just let everything drift by. But we can’t give up. Keep fighting, please, and keep inspiring us with your words. Nicole, I love you share your raw emotion. Many times you can put into words so eloquently what I feel. I agree it is so hard and it is very easy to fall into despair. I really feel like no one understands my illness and that I have gotten become ill because of some type of sin or just don’t say you have it and it will go away..I may not always comment but know that I am always looking for your blogs they keep me going and help me to identify. God bless you on your journey!! !